We'd love for you to play along with us. 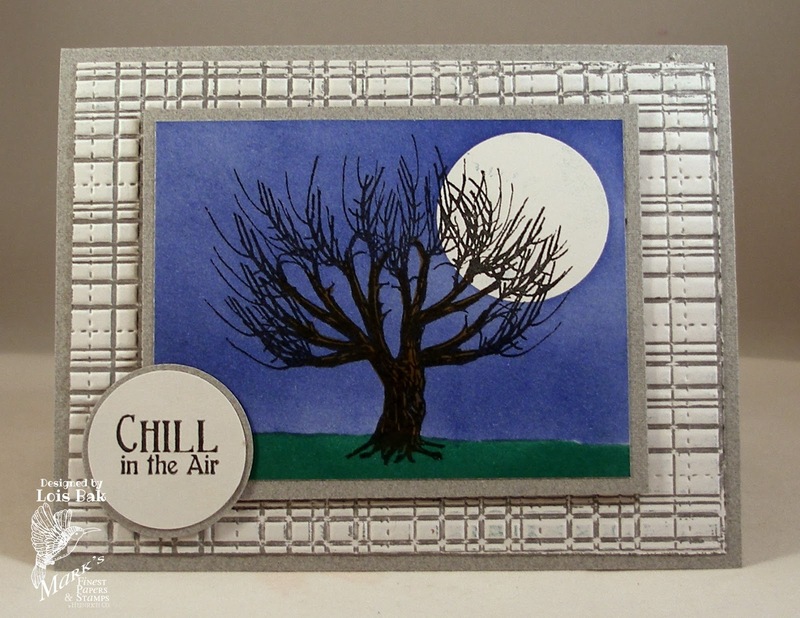 If you feel lucky, make a card using some of your scraps, link it up at the end of the Tutorial Time challenge; and maybe you'll win a free stamp set. 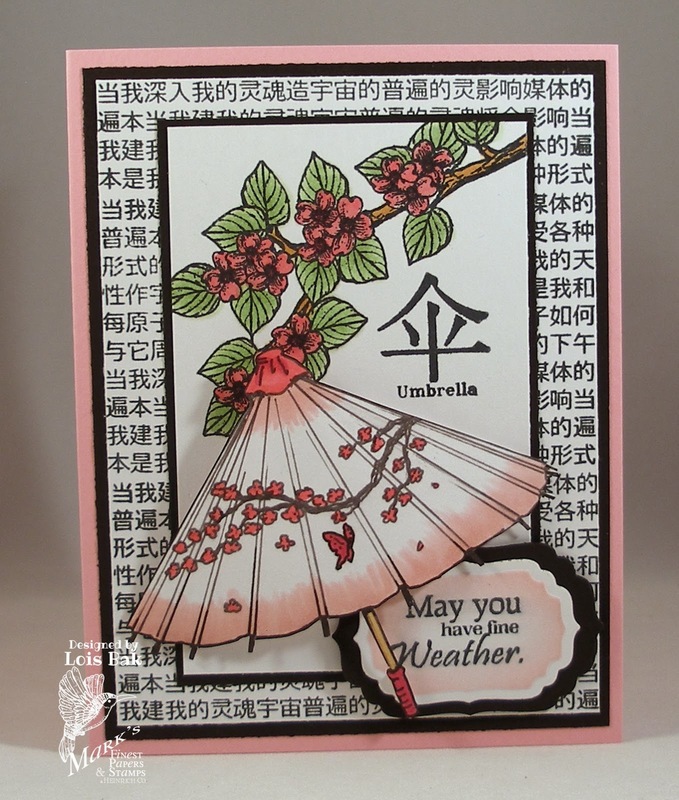 Sabrina's last challenge for the CCEE Stampers for the month of January is Umbrellas. And how appropriate is that -- it has been cold and rainy in my area for several days. 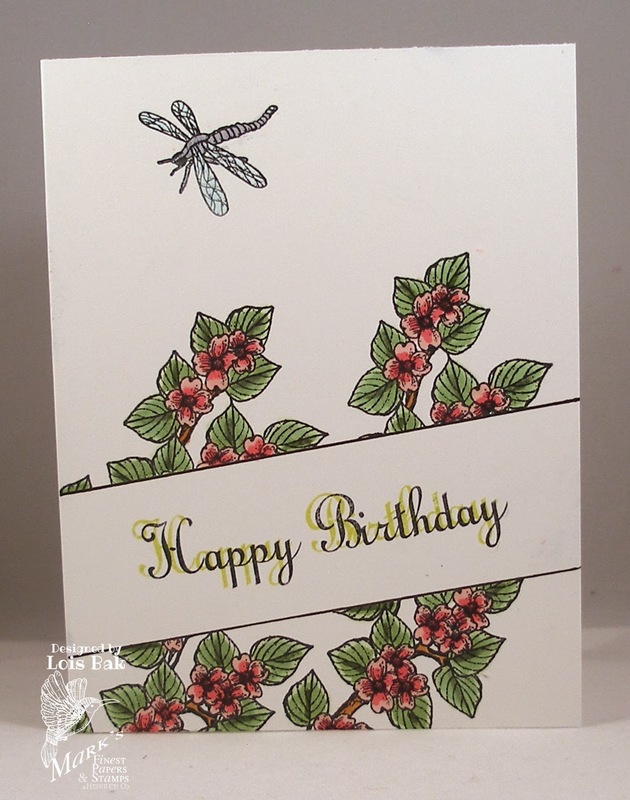 I used a new set from Mark's Finest Papers called Umbrellas and Fans for my card, stamping the umbrellas many times. I stamped and cut out several of them, popping them up for some texture. 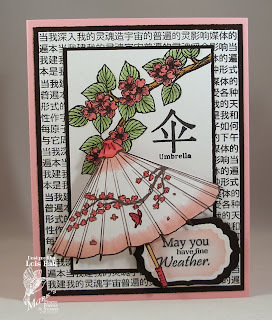 Stop over at the CCEE Stampers Blog to see how the rest of the team used their umbrellas. If you do try this technique, be sure to link up your card at the end of the column on Speedy TV. You might win a free stamp set. 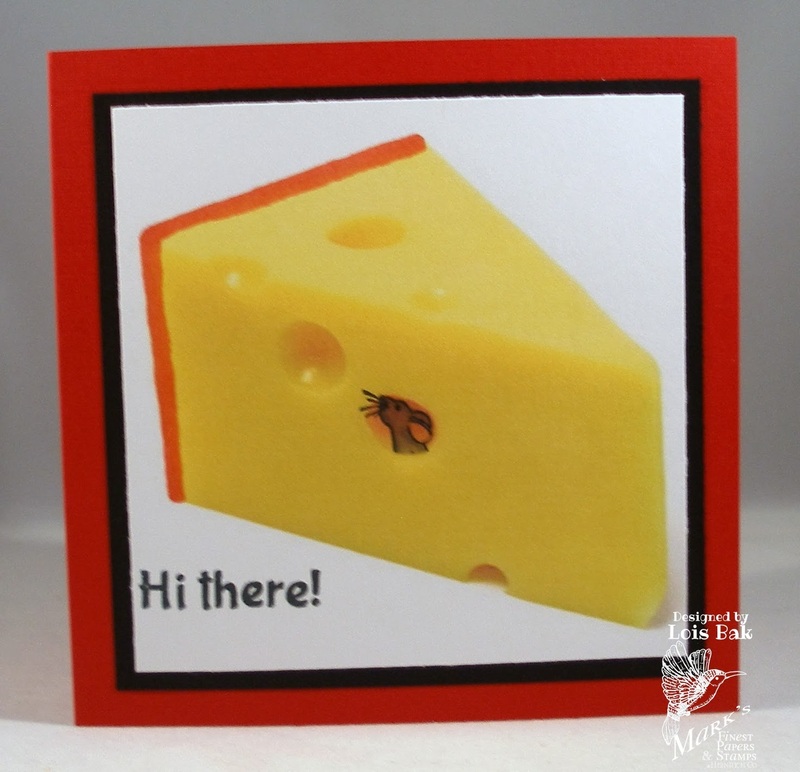 If you'd like to brighten up your winter day, why don't you play along with us and upload your card on the CCEE Blog. 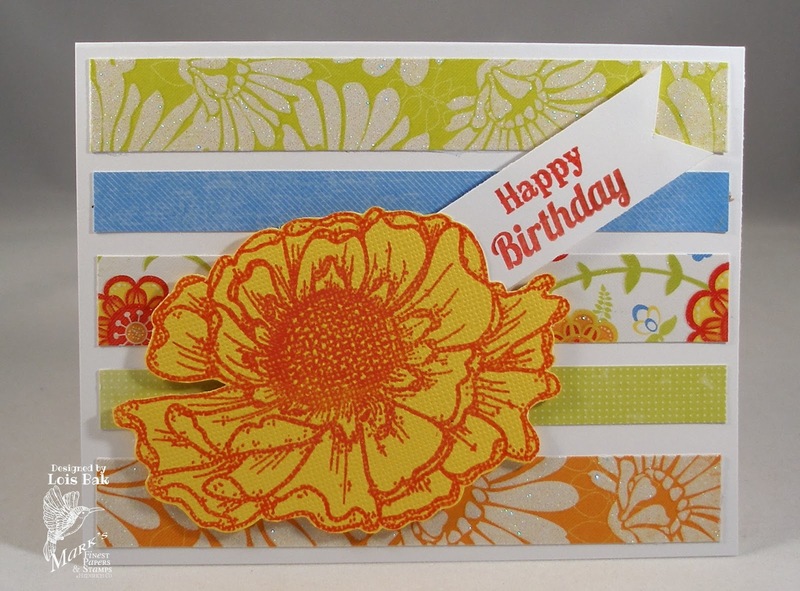 Today would have been Charlene Merrick's (LilLuvsStampin on SCS) birthday. Unfortunately, she lost her health battle a few weeks ago. 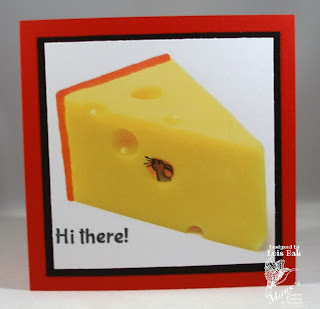 The CCEE Stampers are honoring her today by making a card using some of her favorite things (M&Ms, Penguins, Purple) or CASEing one of her cards. I had put this CAS card into my SCS Favorites when I saw it because I liked the clean look of it -- and also because I had just bought a hexagon punch. 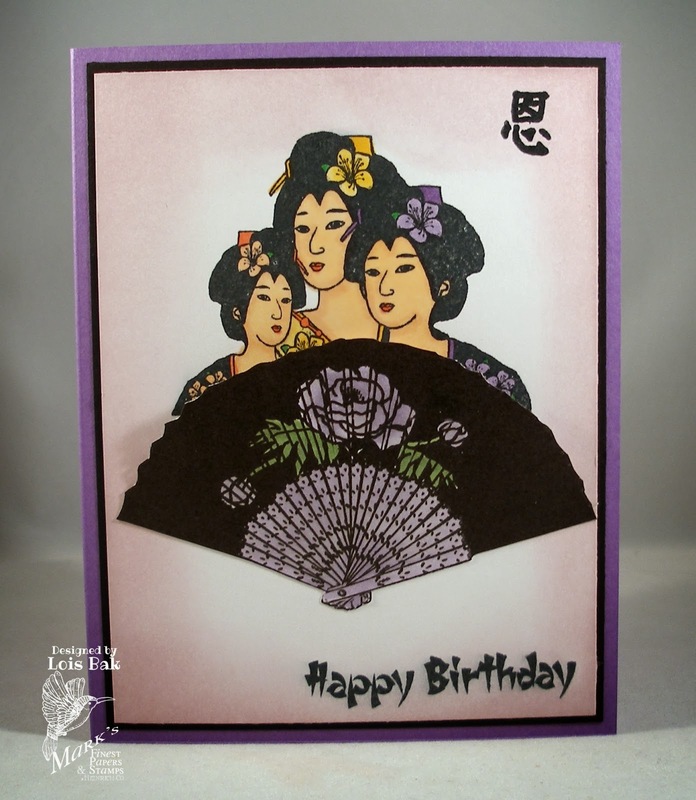 Here is the card I made in her honor today -- using her favorite color Purple. 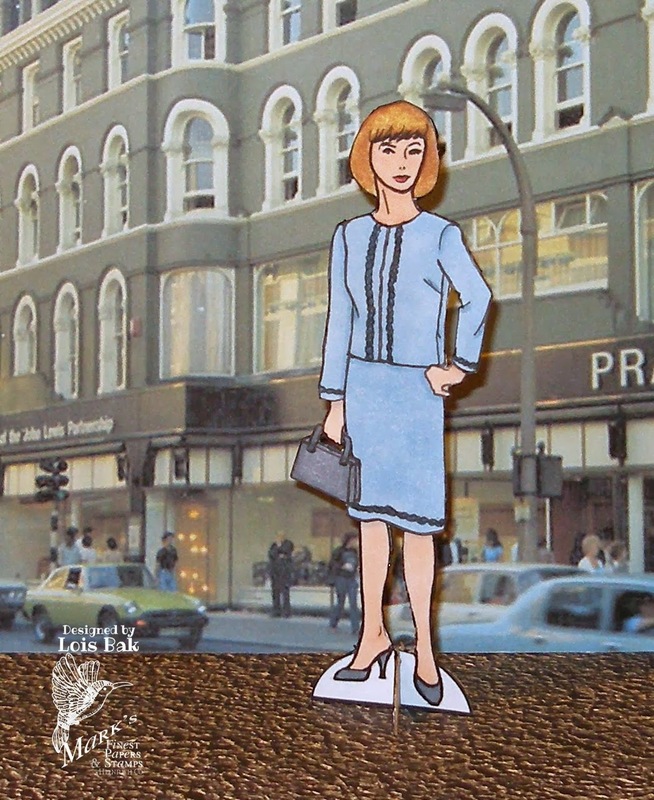 Mark's Finest Papers a Heinrich Co. has a new line of Paper Dolls! We are featuring the new Paper Doll Sets on the MFP Blog (http://marksfinestpapers.blogspot.com) and on MFPSpeedyTV.ning.com through January 18th. Some of the projects will feature tutorials, too! You will be surprised and delighted by some of the designers’ projects. 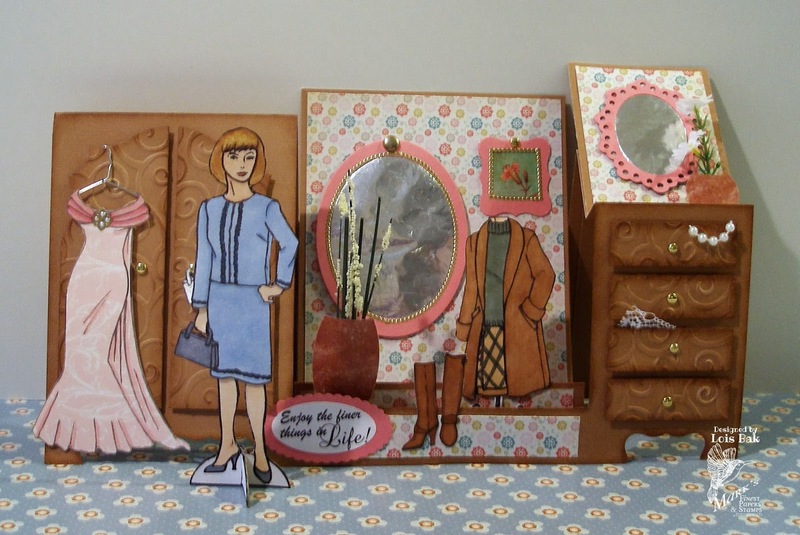 From traditional paper dolls to scrapbook pages to creative tags and cards, the ideas are endless! 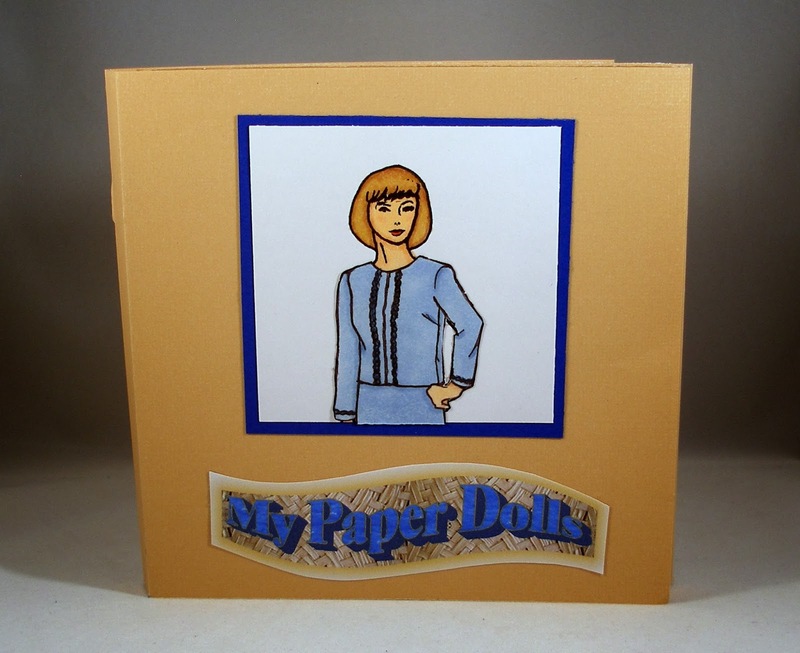 Be sure to visit the MFP Blog and/or Speedy TV each day to see a new and beautiful paper doll project. Some time ago at a Stampin' Up workshop I learned how to make a portfolio, using envelopes for storage. I thought it might make a cute holder for the paper doll series. Here is my portfolio. 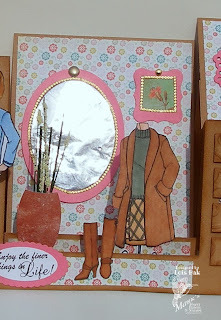 Trim the patterned paper by 1/8”. Glue to the card stock, lining up the score lines. Apply Scor-tape to the envelope flaps. Adhere envelopes together (accordion-style) – flap of one envelope attached below the opening of the following one. Adhere the back envelope to one of the pieces of patterned paper, even with the left side. This will leave a small margin on the right side. Apply Scor-tape to both sides of the cover, as shown (back of piece with envelopes attached, front of other piece). Adhere the pieces together to form a three-section folder. Adhere Velcro for closing, as shown. Fold tabs and write titles on them. Attach to envelopes, staggering positions so that you can read the titles. Decorate as desired. Here again is my finished portfolio. I attached a “pocket” to store the doll and stand. I adhered Velco to hold the portfolio closed. 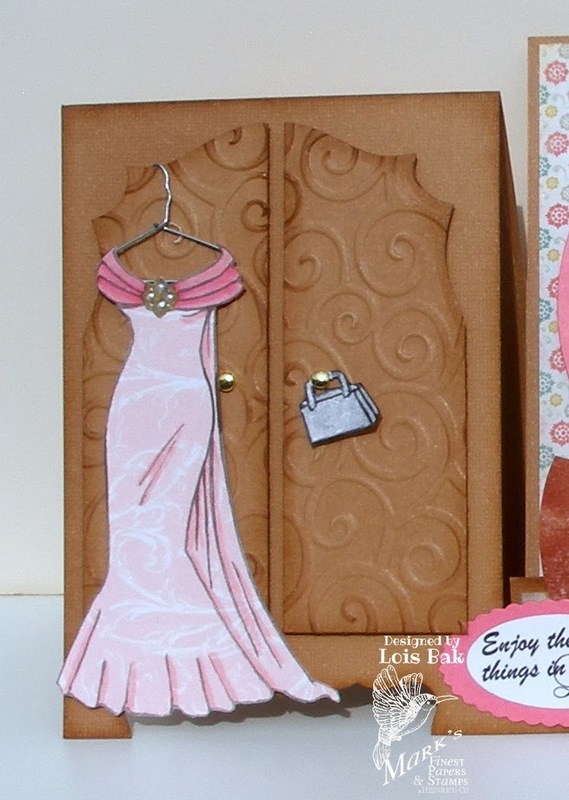 Portfolio open – showing clothes stored in envelopes. A little birdie told me that additional sets of paper dolls may be released by Mark’s Finest Papers in the future. You can always add more envelopes as needed. 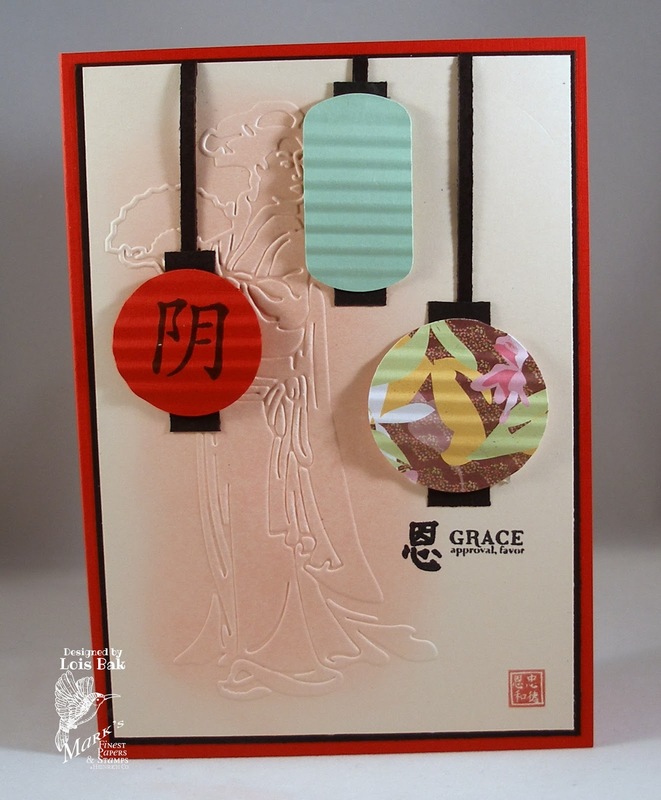 I borrowed a set of oriental embossing folders from my sister the last time I visited her and used one of them for my background. Check out the challenge and give it a try. You might win a free set of stamps. "A poem should be . 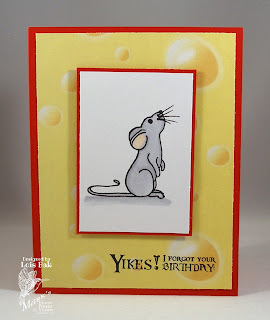 . .
Memory by memory the mind . . . ."
If you'd like to play along with us, link your card up over on the CCEE Stampers Blog. 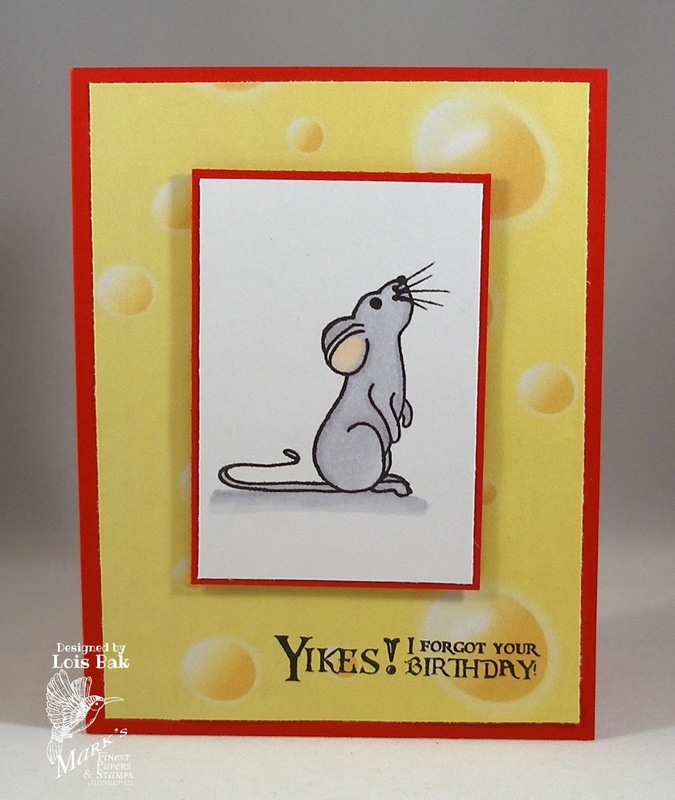 The mini set from Mark's Finest Papers for January is called Yikes a Mouse and includes two little mice and several very cute sentiments. I made two cards, with the help of a little Google search on the internet. I'm sure you'll see what the search produced. 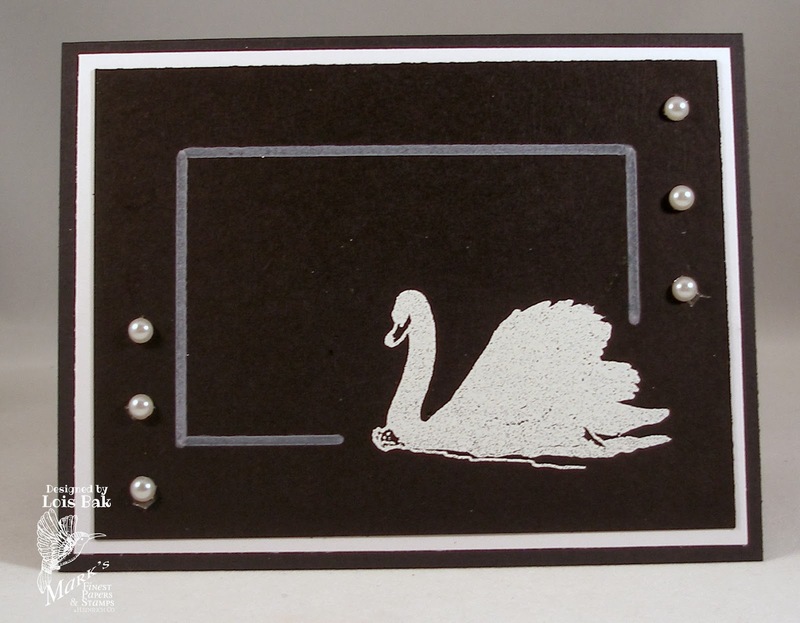 My first card is a standard A2 size. My second card is 4 1/4" x 4 1/4". 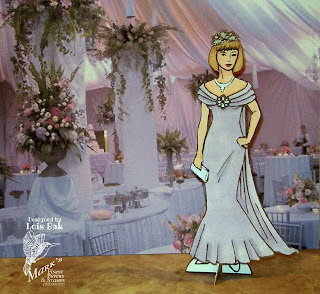 Be sure to check out the official Blog Hop, starting at the Mark's Finest Papers Blog. And don't forget to comment on the blogs of the design team members. You might just win a free stamp set. 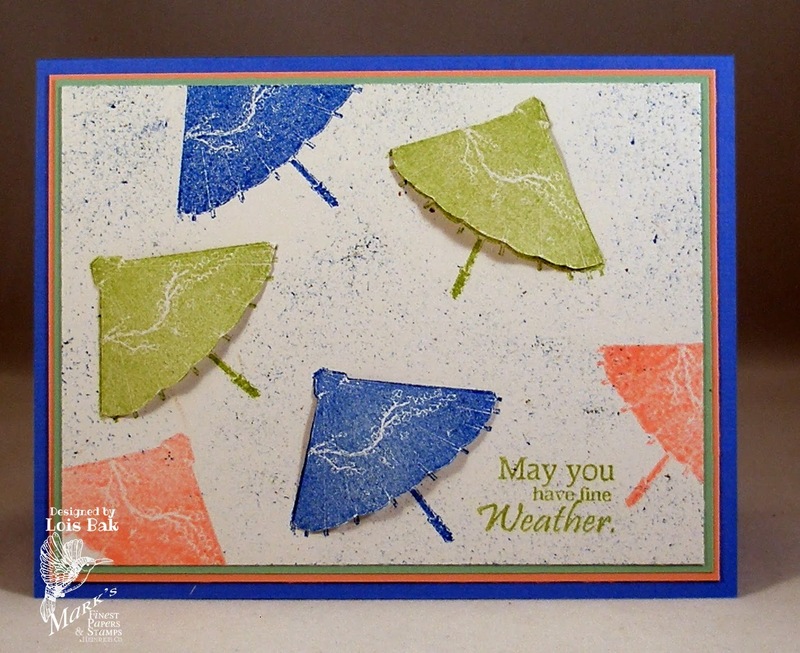 Again I'm not an official part of the Mark's Finest Papers Blog Hop this week, but I've got a couple of cards to show you, using today's set, Umbrellas and Fans. I've been trying to use oriental stamps more because they seem to be quite popular -- though somewhat of a challenge to me. My first card uses not only today's set but also a previous set, Works of Art. My second card actually uses two other sets besides today's -- Be Virtuous and Asian Delights. 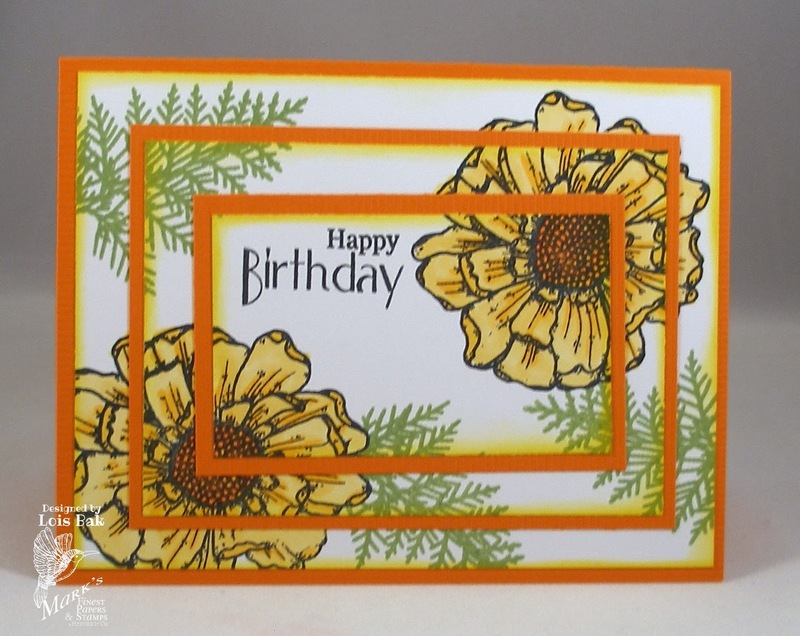 Again I invite you to check out the official Blog Hop cards, starting at the Mark's Finest Papers blog. I hope you'll check out the official part of the Blog Hop; and, if you'd like a chance to win a free stamp set, comment on as many of the blogs as you'd like. The more you comment, the greater the chance of winning. You can start hopping at the Mark's Finest Papers blog. Please hop along with us! You have a chance to win one of the above stamp sets! Just comment on the blogs listed below (don't forget this one) each day for more chances to win! (You do NOT have to comment on all the blogs each day! The names are drawn randomly!) All three winners will be announced on January 18, 2014, on the Mark's Finest Papers blog. You can go back and comment if you missed a day. (HINT: The more you comment, the more chances you have to win; and comments on the MFP blog count twice!) The deadline for commenting is 10 PM EST on Friday, January 17, 2014. Melinda's fashions today are more casual than yesterday's. Her first adventure today is watching the horseback riders go off on the trail. 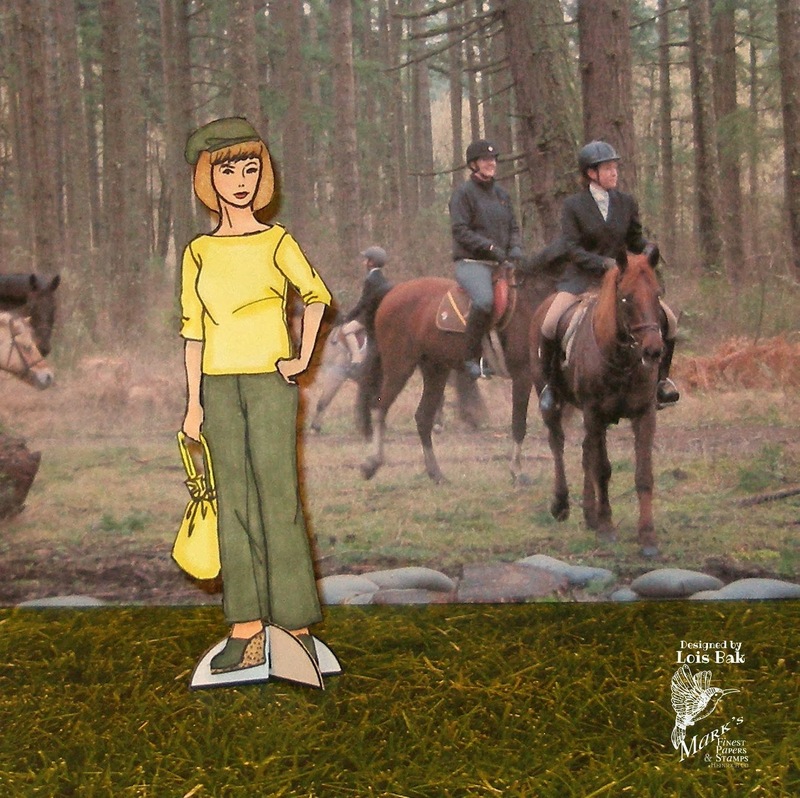 She tried horseback riding once but was not fond of it. Later in the day, she plans to take a walk. I doubt that her boots are the proper foot attire for tromping through the woods, so she'll keep to the path. I hope you have enjoyed Melinda's activities this week. Thanks for stopping by. 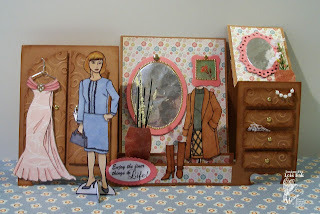 But be sure to visit the rest of the design team's blogs and see what they have created with today's set. Hop. We will be introducing the other 3 new Stamp Sets for January. Our hostess Sabrina asked the CCEE Stampers to make a card using the Bordered Sentiment technique. Back in October, she was hostess for one of the Hope You Can Cling To challenges, which produced a great number of cards using this technique; and she lamented that none of them would wind up in the Technique Gallery. I guess that's why she wanted us to use it again this week. You can check out the tutorial here. If you give this technique a try, be sure to let us see what you did by linking up your card over on the CCEE Stampers blog. Melinda is dressed to the nines today in her pretty party dresses. 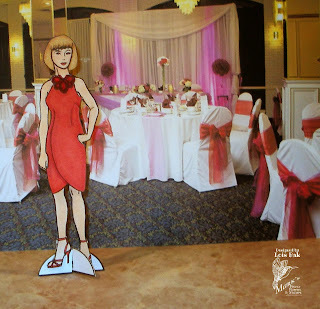 This weekend she is attending a formal Charity Ball and chose the floor-length gown. And next week she has a cocktail reception to attend. I'm not sure I could wear those shoes without killing myself! I'm sure the rest of the design team has a few surprises for you today, so make sure you check out their blogs. 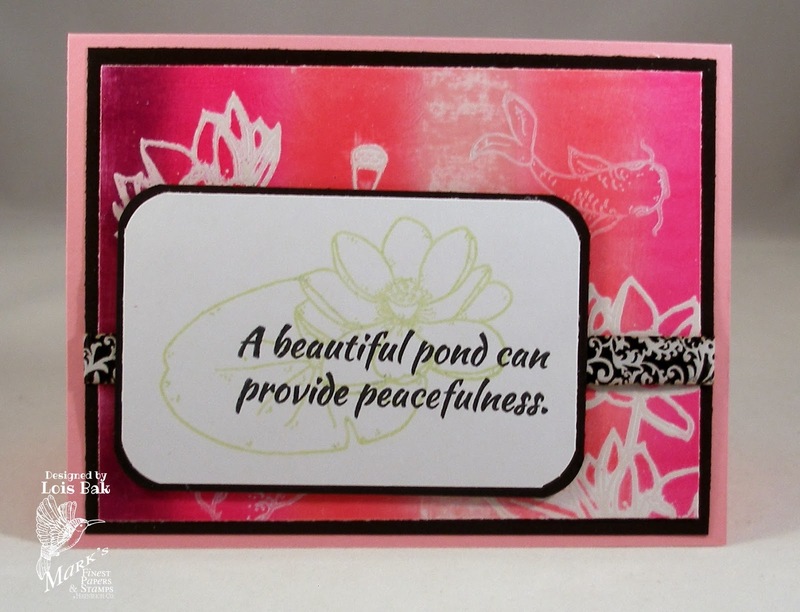 Remember, the more you comment, the more chances you have to win a free stamp set! 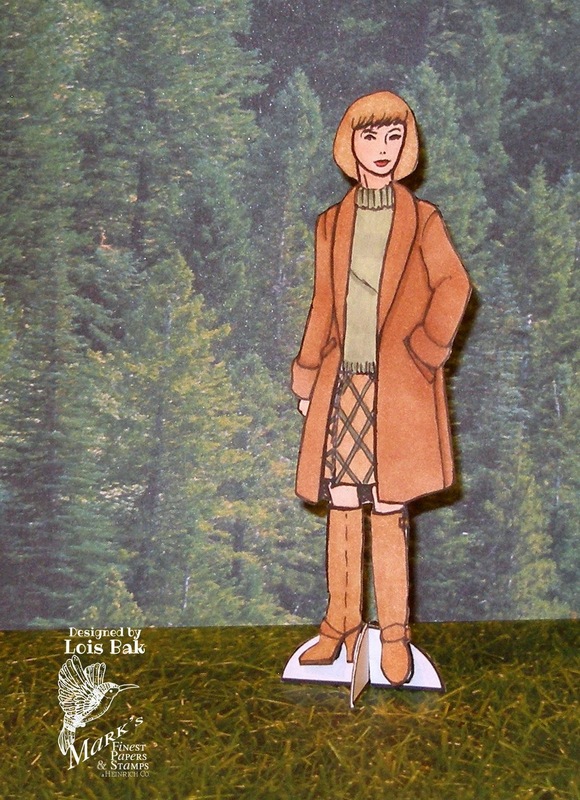 Three of this month's stamp sets took me back to my childhood to when I would play with paper dolls. I also drew clothes for my store-bought dolls, so you can imagine the fun I had with these sets. 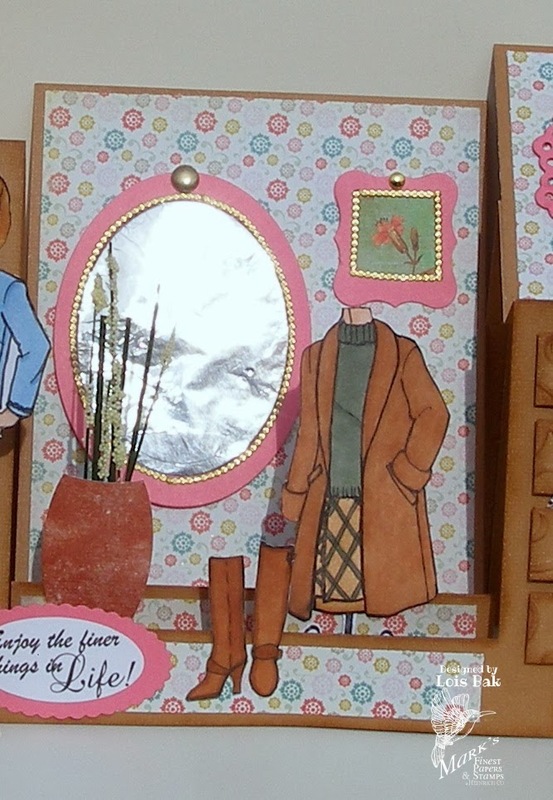 For my first project this week, I actually made a little dressing room scene. 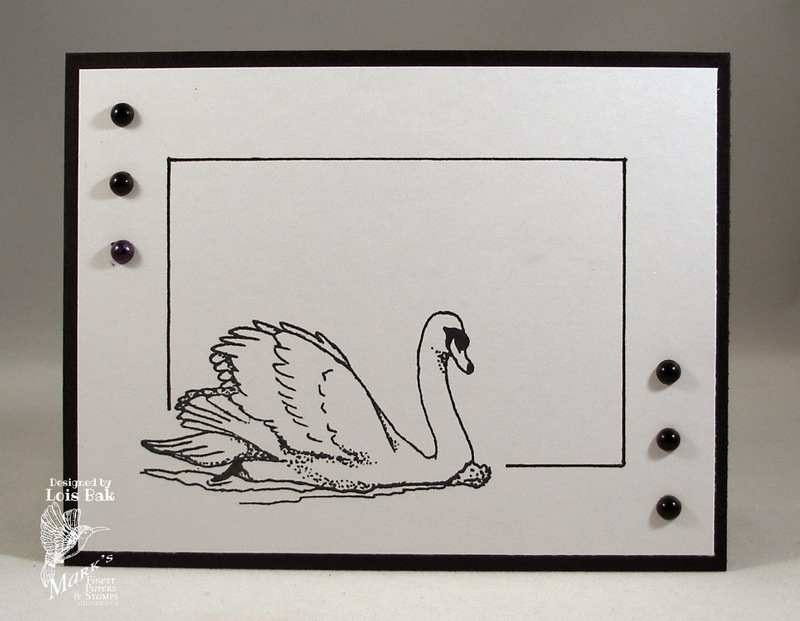 Sometime ago I had seen an extended dresser card that someone had posted on Splitcoaststampers and very nicely gave the measurements to recreate it. She gives a link to her tutorial in her description. I have made several smaller dresser cards in the past, and I thought this would be a great introduction to this stamp series. Two of the outfits I included in this scene are from Wednesday's and Thursday's sets in addition to the doll and the outfit she is wearing, which are from today's set. The mirrors are aluminum foil; the wallpaper and rug are designer paper; and the clothes hanger was made out of a paper clip. I thought I would show you some close-ups of the three areas of the "dressing room." Here is the main dressing area, with a mannequin, a floor vase and large mirror. Here is the armoire with fancy doors. The dress was stamped on patterned paper. As I mentioned before, the hanger was fashioned from a paper clip. I will have a recurring "theme" to my blog posts during this week's hop. 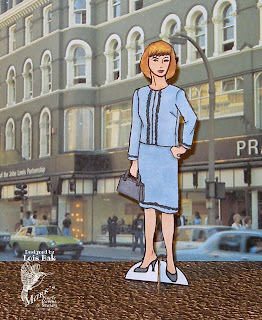 I thought that each day I could show the doll dressed in the clothes from the featured set -- in a setting. Today's set has two outfits, a business suit and a tennis dress. And I decided that I can't keep referring to the doll as "the doll," so I have given her a name -- Melinda. Here is Melinda on her way to work downtown. 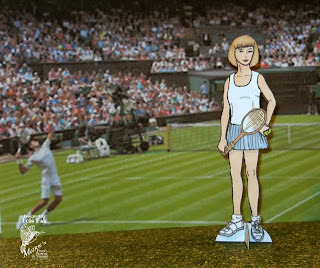 And here she is on vacation at Wimbledon. I found the background photos on the internet. Hopefully, I am not breaking any copyright laws. Be sure to see what fun the rest of the Design Team has for you today and come back to see where Melinda is off to tomorrow!